When it comes to cleaning and optimizing your Mac, there are numerous products out there that purportedly will help you to do so – each claiming to be more effective than the last. Out of these two of the most popular are Movavi Mac Cleaner and IObit MacBooster – but the question that you may be asking is: Can they really deliver, and which one is better? Both Movavi Mac Cleaner and IObit MacBooster have clean and modern-looking user interfaces that are relatively easy to navigate. That being said there is one important difference in their approach: While Movavi Mac Cleaner places all its cleaning parameters and settings in plain view right from the get go, IObit MacBooster does not and it will take a bit of time to figure out how to access them – particularly the ones that are hidden deep within the interface. Considering both Movavi Mac Cleaner and IObit MacBooster both claim to be able to clean, optimize and protect Macs – these are all core features. Frankly there is pretty much nothing that separates the two on this front, and both have the same ability to clean cache and logs files, duplicate files, unused languages, old and large files, and trash bins. Additionally their other tools are a match for one another as well and can be used to uninstall user apps and system apps, shred files, optimize startup items, and protect your Mac with a built-in antivirus and firewall. In short, both Movavi Mac Cleaner and IObit MacBooster are able to deliver on their promise to clean, optimize and protect Macs – in similar fashion. When you’re cleaning your Mac, the one risk that you may encounter is the potential to accidentally delete important system applications. 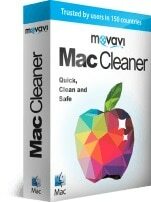 On its part Movavi Mac Cleaner alleviates this concern by separating user and system apps into different lists so that it is unlikely that you accidentally delete them. Additionally key programs that should not be removed do not appear on either list, making it that much safer. On the other hand IObit MacBooster does not have these precautions, and its app uninstaller presents both user and system apps in a single list. Simply put if you aren’t careful you could inadvertently remove a system app that you actually need when using IObit MacBooster. Being popular tools, it should come as no surprise that Movavi Mac Cleaner and IObit MacBooster have similar support – including email support, knowledge base of guides, and a well-populated community on social media. However Movavi Mac Cleaner has one nice addition that IObit MacBooster does not with its option for support via live chat. The standard version of IObit MacBooster will set you back $59.95 – which is a big jump up from the price of Movavi Mac Cleaner which stands at $39.95. It should be noted however that IObit MacBooster does have a ‘lite’ version that you can opt to purchase for $39.95 – but it lacks many core features such as a full system clean, system optimization, virus protection and proper full-time support. 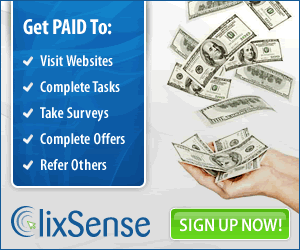 In short the expensive version provides the same features as Movavi Mac Cleaner but at a higher price, and the cheaper version provides less features than Movavi Mac Cleaner but at the same price. To sum it up Movavi Mac Cleaner provides equivalent features to IObit MacBooster but is cheaper, safer, and has a more user-friendly interface. To top all that off you can try out all the features in Movavi Mac Cleaner with its free trial before you decide to take the plunge and purchase it – which is something else that IObit MacBooster doesn’t allow for. In a nutshell, Movavi Mac Cleaner clearly trumps it.